In the Excelify, when importing Customers data, you can specify what should happen with your Customer Addresses when you import them. Will replace all existing customer addresses with the ones that are listed in the import. This will delete any addresses that are not included in the import for that Customer. If no Address Command is specified, then the MERGE will be assumed. 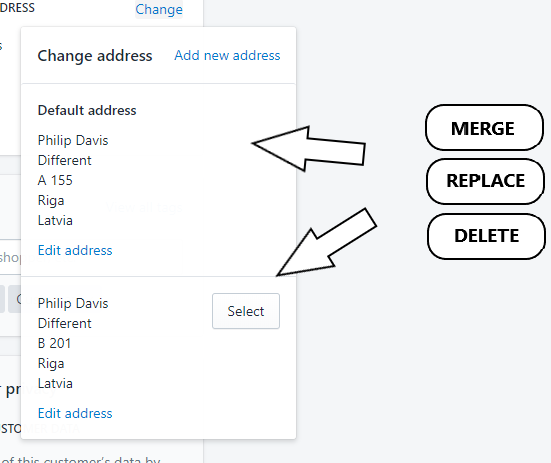 Check out our tutorial on how to delete customer addresses in bulk.